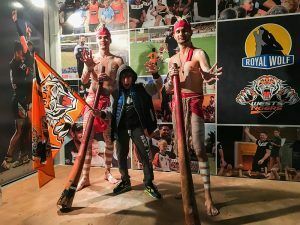 Earlier this year Royal Wolf proudly announced an exciting new partnership supporting the Wests Tigers football club in their community efforts through the donation of a unique and flexible activation space for new initiatives during this football season and beyond. 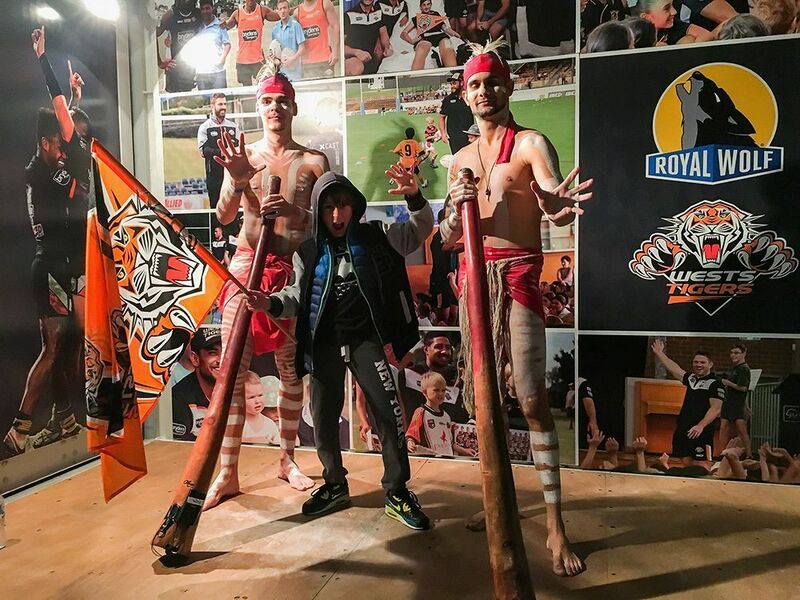 As part of fulfilling the clubs’ mission to ‘enrich the lives of its communities’ the Wests Tigers has formed the club’s new Community Strategy based around six key pillars: Multiculturalism, Women, Grass-Roots, Indigenous, Education and Healthy Living. The container was utilised during several games centred on the pillars, altogether reaching a crowd attendance of over 33,000 fans throughout the season. First showcased in May for the Indigenous Round (Wests Tigers v South Sydney Rabbitohs), the container acted as an activation space in the main forecourt to highlight the incredible Muggera Dancers (pictured), by providing a colourful and engaging focal point for the performers in the enormous grounds of ANZ Stadium. The container was also transformed for the launch of the “Tigerize your classroom” initiative, a national competition with 35 schools entering pictures of their rooms decked out in true Wests Tigers’ style, for the chance to win a lap of honour around the grounds for their Round 23 match in August (Wests Tigers v Manly Sea-Eagles). For the Health Living Round later in August (Wests Tigers v North QLD Cowboys), the activation space was staged in the main forecourt, where fans could take photos from inside. 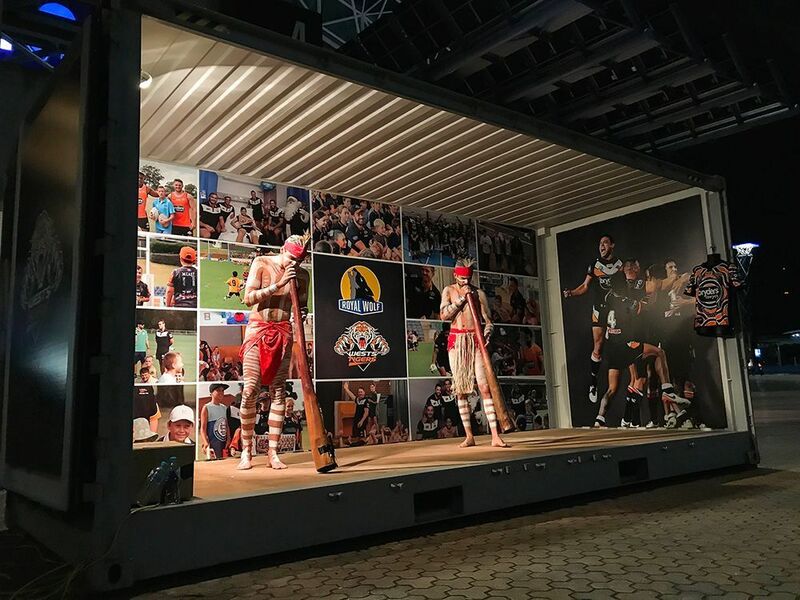 When it wasn’t bringing people together at games, the container was used at Wests Tigers Head Office as a unique and memorable space in which Shaun Spence, Community and Fan Engagement Manager, could deliver presentations and launches for a variety of Wests Tigers’ community programs. Royal Wolf is incredibly proud to have contributed to the clubs’ initiatives this year and look forward to continuing our support.